Old Jules is a biography of an American pioneer, written by his daughter Mari and published in 1937. Mari Sandoz is an extraordinary figure in American letters and this, her first book, is a great book. I want to say it is one of the greatest books written about the American west, but I haven’t read that many so I won’t make the claim. I will say it is one of the greatest books I’ve read about a place. The place is the Sand Hills of Nebraska and the time is from the 1880-1928, the year in which Old Jules dies. The sweep is epic, as it should be, but the prose is the thing. Sandoz achieves several things seemingly without effort. She describes the sights, the smells, the attitude of place, of nature, people and the ephemeral things the people build against a relentlessly fickle environment, an environment hostile to permanence. She tells and retells stories she heard as a child, about the ordinary adventures of humans caught in a drama only partly of their making, a drama driven by greed and dreams and contradictory impulses: rapes, murders, suicides, corruption, yes; but also work, fencing, planting orchards, selecting ground, establishing institutions such as post offices, courts and police; and marriage, divorce, madness, adultery; the making of clothes, shoes, buildings, and the forging of weapons and tools; and the celebrations, weddings, funerals and Sunday dinners and dances of life on the frontier. 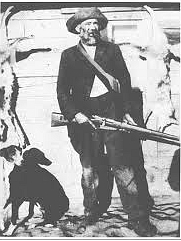 History happens meanwhile, the indigenous Cheyenne and Sioux come and go, the wild game disappears, the railroad and towns arrive, the land is no longer free and then automobiles and telephones and finally radio and airplanes. Sandoz is a master of narrative and of language, for she captures the speech rhythms and phrases of her settlers, almost all of whom are immigrants: Polish, German, French or like her father, Swiss. Sandoz didn’t speak English until she went to school, against Old Jules’ wishes, at the age of 8. She lived in a linguistic environment that was French and German and, likely (according to Sandoz scholar, Richard Voorhees), Cheyenne and Sioux. Time passes as effortlessly as a gentle stream in this book. Change is its theme, and yet change happens, time passes, in the organic, elemental way of life, sometimes eruptive, explosive but mostly at the pace of erosion. 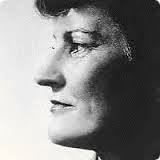 Sandoz herself had a remarkable career as a writer. 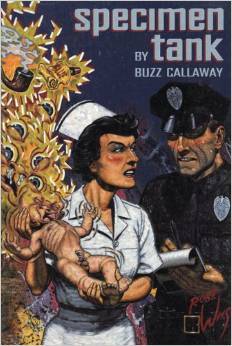 Old Jules went to something like 70 publishers before it was accepted and became a hit. She was suspected throughout her life of plagiarism, and she struggled with editors and agents often, changing both frequently. The publishers were in the east, and they wanted to change her language to make it more accessible and conventional, which she resisted fiercely and with much bitterness. As a result she decided to move to NYC in the 1940s (she wrote a marvelous piece about her first apartment there) and essentially spent the rest of her life traveling between archives in the west and in New York, and living in Nebraska where she interviewed, and archived, the genealogy and lives of people. I mentioned Richard Voorhees earlier. I met Voorhees in connection with research I’m doing on Marianne Hauser, who was Sandoz’s friend. 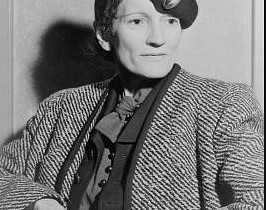 Voorhees was much involved with The Mari Sandoz Heritage Society, and visited Sandoz’s sister in Nebraska. He has seen the archive of material Sandoz kept, with her Native American friends relating stories going back 6, 7, 8 generations. Her research was massive and detailed and her files run to many thousands and thousands of pages. She drew on this to write a series of histories and historical novels about the west. 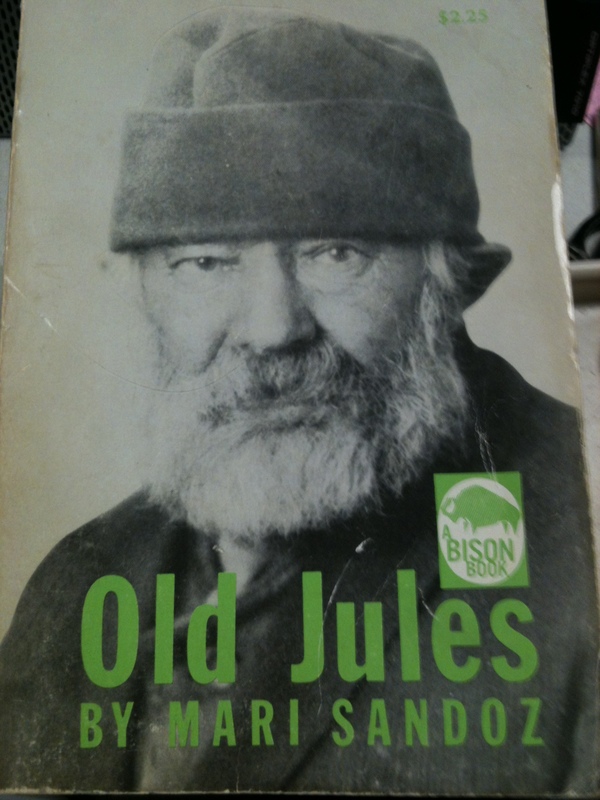 Old Jules is but one of what is known as the Trans Missouri Series, which includes a biography of Crazy Horse, a history of fur trappers called The Beaver Men, and Cheyenne Autumn. She also wrote a novel about her childhood called Slocum House. Sandoz was a tough person. Her letters are strictly business. She was married when quite young but divorced her husband and scorned relationships. In a letter she wrote in the late fifties she says she loves avant-garde art and experimental fiction. She mentions Celine as a writer she admires. To call her a woman novelist would be insane, yet she suffered through the realities of being a woman in a man’s world. Self-pity did not exist in her make up. I want to end this with a few quotes, but also, I would urge anyone who loves the English language to plunge into this book and luxuriate in the reality she creates a word at a time. “They took [Marie] to the hospital room where an old, old man lay, his face a thin gray shell of wax with a few straggling beard hairs like wire. His faded eyes opened. They slid over Marie without recognition and closed, but not quite. Behind the slits he watched that they did not leave him alone.